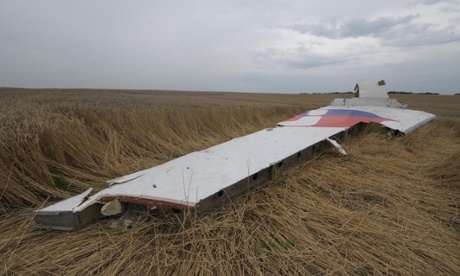 Where were you when you first heard of the tragic case of Flight MH17? It is not a day that I will forget in a hurry. Malaysia Airlines has lost contact of (sic) MH17 from Amsterdam. The last known position was over Ukrainian airspace. More details to follow. As I finished reading those words, I felt my heart pace quicken with anxiety and a lump formed unwittingly in my throat. I was beside myself with disbelief. Was this another MH370? That KL-Beijing flight is still missing, we haven’t even begin to really know what happened to that ill-fated flight, and now this? It was like Malaysia was getting hit in the gut again with this rude awakening, only this time the punch was targeted at a gaping wound that was barely healing. So many questions started to flood my mind then, the main one being: What on earth happened to MH17? Spurred by alarm, my brother and I frantically opened multiple browser windows and turned on TV channels. It became increasingly and painfully clear: the Malaysia Airlines Flight MH17 originating from Amsterdam bound for Kuala Lumpur had crashed over Eastern Ukraine. What took me more by shock was not so much that it had crashed, but rather the way that the doomed plane had met its end. Purportedly shot down with ground-to-air missiles by a suspected party, killing all 298 aboard. It was every air traveler’s worst fear, the stuff of frequent flyer nightmares. Being innocently gunned down while enroute to your home or vacation destination – in an air traffic zone that was deemed safe to fly in by the relevant authorities, no less. It was utterly inhumane, totally unthinkable and downright dreadful. I could only think of the poor people on that plane. The last terrifying moments of their lives as they plunged out of the sky with no clue as to what had happened to them. It was enough to bring tears to my eyes. What frustrated me personally as a Malaysian during these initial stages of learning about the news was the speed at which foreign news and media were spewing out information and photos of the alleged crash. It was blinding. But somehow there was nothing substantial in our own local media, much less from Malaysia Airlines or the government at that point; they were all cautious to not announce anything else until the reports from abroad had been verified. But alas the news were already spreading uncontrollably within the social media networks. At this point I took it upon myself to believe what the international news sites were reporting. There was no way this could be a hoax, the stuff looked too real. One of the first photos I saw of the unspeakable carnage was of two guys whose backs faced the camera, both standing nonchalantly on a piece of aircraft which made part of the fuselage where the passenger windows were. Another picture which was particularly heart-wrenching for me was one of the plane’s tail, sitting damaged and lonely in a vast field, with the blue-red moon kite MAS logo ripped through. It was harrowing to see photos of a crashed aircraft bearing the logo of my beloved country’s airline in the shape that it was in – in a million pieces in some war-stricken foreign land. Growing up I have flown many flights on the national carrier and like any other globe-trotting Malaysian family before the age of budget airlines, MAS was our main mode of transport out of the country, into the skies and foreign lands. And if seeing pictures of damaged inanimate objects like these was enough to bring me on the brink of tears, nothing prepared me for the photos that depicted the lifeless bodies of the unlucky passengers strewn across the fields. It was absolutely distressing and truly beyond words. As more details came to light regarding the crash, what was of most concern to me as an ordinary person was the human stories – who were on that flight? Did I know anybody on it? Eventually after reviewing the manifest of passengers, I did not recognise anyone’s name on the list, however I knew at some point we’d all know someone indirectly who have died senselessly. My ex-colleagues had lost a co-worker who died with his wife and child (and I am a former employee from the same company). A runner friend lost her junior of 3 years who attended the same secondary school as her; the victim was one of the cabin crew. Another friend knew of the family of 6 who were moving back from an overseas posting to Sarawak, they apparently shared the same hometown. Yet another friend lost her fellow Ph.D student who was returning to Malaysia from Rotterdam; it was reported that he had earlier uploaded a short video clip from inside the plane prior to the flight take off, commenting that his heart felt “nervous.” The video clip was uneventful, it showed passengers putting away their luggage in the overhead compartments and getting seated, but it became significant thereafter in a sad twisted tale of foreshadow. And then there were stories of the near-misses. A former colleague whose wife regularly flies the Netherlands-Malaysia route missed it by a day. Closer to home, my step-cousin, a pilot with Malaysia Airlines for many years, had flown the flight to Amsterdam from KL, just a day before the horrific accident occurred. My aunt, who was only aware that her stepson was on duty on that route, was already crying when she could not reach him on the phone, fearing the worst. It turned out that he was safe after all and even flew the first flight out of Amsterdam to KL after the crash. Last night on Wednesday, 23 July 2014, a few of us regular runners at Bukit Chenta decided to come together to run in memory of all who perished on flight MH17. We were supposed to meet at 10:15pm at our usual rendezvous, Dewan Tunku Canselor car park at University of Malaya campus. Before I left the house, I caught a few minutes of the live telecast on CNN news channel from Eindhoven, where the first 40 bodies had already arrived from Kharkiv, Ukraine at the Dutch air force base. As the coffins of the dead were unloaded from the Hercules planes of Holland and Australia by soldiers in a dignified ceremony, the entire Dutch nation observed a minute of silence at exactly 4:00pm local time. After arriving at UM, I was greeted by many friends who were already there. I estimate that around almost 30 of us were present, which was more than I expected. Everyone was keen to show support in the spirit of solidarity. Zainuddin helped to print special bibs for us to wear as we traversed our usual running ground. The bib said: #Run4MH17 – Our thoughts and prayers are with you. MH 17072014 – Bukit Chenta Runners. Before we ran, I gave a short speech about what we were there for and as I spoke about MH17, I felt my voice cracking with emotion. “We will run 7km tonight. As we gather here now, the first 40 bodies from the crash have already arrived in the Netherlands where they will make its way to the next stage of identification process,” I shared. We also observed a minute of silence to remember those who died senselessly. We then posed for group pictures with the bibs we wore and two Malaysian flags which we are proud to hold up. We are behind you, Malaysia and Malaysia Airlines. That night I also made a new friend named Farah Fazu, who did not come to run but came down to support our cause. Later I found out that her uncle was the leading steward on the missing flight MH370, which was why the case of MH17 also struck a chord with her. “At least the families of MH17 victims have closure, mine is still wondering what happened,” says Farah. Farah later asked why we did not print “MH370” on our bibs. I apologised and told her that it was not our intention to leave out MH370 – it’s just that MH17 was a recent occurrence and that it did not mean we have forgotten about the earlier ill-fated flight. We also set up a collection fund for those who wanted to donate. At first I did not know where we should channel the money, and after some consideration and unanimous voting, we decided to have it sent to Shazana Salleh‘s family who are from Penang. The late stewardess who died in the MH17 crash was Maziah’s secondary school junior, hence she volunteered to channel our collection to her family through her alumni network contacts. We spent a little bit less than an hour running together, we did not prolong it as midnight was approaching and most of us had to head back home. After we posed for finishing group photos, we finalised the tally of the collection and declared the amount to everyone. “Thank you Maziah for helping us to send the funds to arwah (the late) Shazana’s family, please extend our condolences from the Bukit Chenta Runners family,” I said to her in a simple handover ceremony of the cash, witnessed by everyone. After the run some of us decided to go have early sahur meal together so we went to Bangsar where we spent another hour sharing our emotions and anything else we wanted to get off our chests with regards to the tragic incident. It felt healing to share, and I am very thankful that I have this avenue to really express myself how I feel about it. We sometimes tend to overlook the need for therapy during a tragedy such as this, and I would highly recommend that if you are in distress about this incident, to find a group of like-minded friends who can help you overcome these tough times. If you are a runner, great! Organise a similar run and offload the pain together. While the road to finding answers to what happened to MH17 (and MH370) is still long, we pray that the investigators and authorities who are helping to find them will be able to overcome all obstacles and that the families of those affected will be able to find inner peace. Some thoughts from an experienced pilot (who is also a grandmother) about the downing of MH17. I left a long comment at the bottom of her blog post (after she invited me to) expressing how I felt. The author is a serving flight attendant with a UK-based carrier who writes a blog, “Confessions of a Trolley Dolly,” under the pseudonym Dan Air. Fairy, this is such a beautiful post and tribute to those left behind. I began looking at the photos, but when I saw the child’s body, I couldn’t look on. Such sadness for all. Someone asked me how we can find good in any of this? My answer is looking at the photos of all of you doing something to honor the victims. People coming together for humanity. This is what we must all remember. Thanks for a GREAT post! Thank you for your kind words. This was just our little way of remembering those who have left us all too soon, a small comfort to the families, a gentle reminder of how there is still goodness in the world and that some people truly care. It was also an opportunity for us to vent and express ourselves, I personally can’t look at the cabin crew corporate headshots (the one that was put together by MAS to honour their dead colleagues) without wanting to tear up. What more reading the stories of the innocent passengers. May God bless their souls and look over us all.